REGULAR FREE FORTNIGHTLY DELIVERY SERVICE! 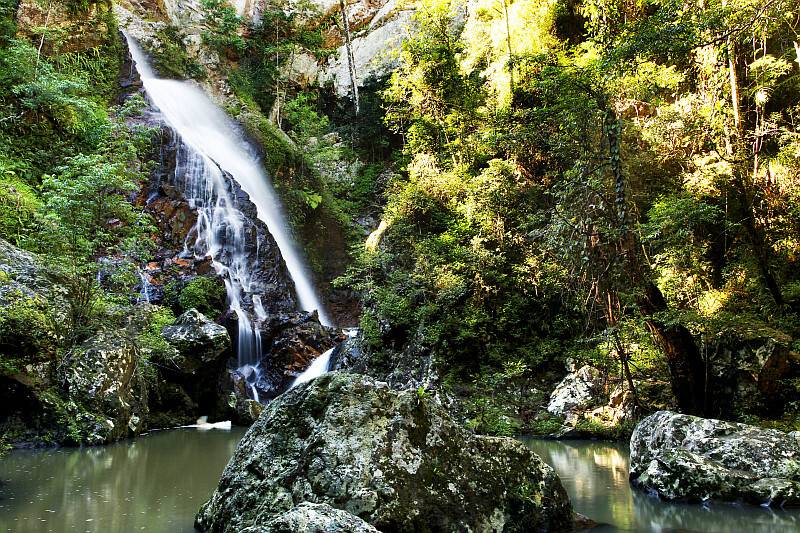 Montville Mist Springwater is collected from a natural spring, feeding “The Narrows” Obi Obi Gorge National Park. “The Narrows” was described by a German Missionary in 1842 as a “Series of deep pools”, filled with the finest springwater. Recent scientific analysis of the Montville Mist Spring verifies that this source continues to provide the finest springwater. If you are committed to a healthy lifestyle, make drinking enough pure natural spring water a habit in your life. It won’t take long for you to feel the benefits. It is such a low cost investment for your long term health. We are one of the last remaining locally owned natural spring water companies on the Sunshine Coast. It is essential to know what you are putting into your body. • Located in the gorgeous little village of Montville in the Sunshine Coast Hinterland is Montville Mist Springwater. Natural springs lie at the base of the pristine 17 acres, where we source and bottle springwater. • There is no need for us to pump the crystal clear spring water to the surface and alter the taste in any way. We leave it in its most natural state and source it from deep, naturally rising underground springs in Montville. • Montville Mist Springwater is hundreds of years old and is rich in natural minerals, which assist in maintaining good health.